David Irving's Attempt to Sue the Board of Deputies for Planting their Secret Smear Report in Foreign Government files. he denies (in para. 5) that the Board keeps anything about Mr Irving on its secret computer database, about which see supra. I propose to commence proceedings under the Defamation Act with respect to reports relating to myself which were circulated by you and the Board and/or its agents to third parties in 1991 and 1992, copies of which those institutions have now obligingly made available to me. As you will be aware I am a professional speaker and an historian of repute, whose works have been published for thirty-four years in the major publishing houses, newspapers, and journals of the world, including several titles being published in the former Soviet Union, and of whom The Times has written: "David Irving takes his place in the first rank of historical chroniclers." The fact that the reports referred to and the covering letters thereto were marked, as they were, confidential does not exempt them from the provisions of the Defamation Act. The reports were designed to damage my reputation; they did such damage, and I now propose to hold the authors of those reports liable. Please regard what follows therefore as a Letter before Action, and consider my requirements set out hereinafter most seriously. I have as recently as September succeeded in enforcing swift but satisfactory High Court libel action against a major British Sunday publication on very similar grounds indeed. The reports of which complaint is made are riddled with reckless inaccuracies, overstatements, and outright lies--precisely the kind of unfair dealing in data, by way or transfer or disclosure to third parties, which the Data Protection Act was designed to obviate. 6.2 "Irving claims that his father was also a polar explorer." The innuendo is that it was a false claim. 8. Parents "divorced when Irving was a child." Untrue, they never divorced. 9. "Irving has four brothers, all of whom were RAF Officers during World War Two." Untrue, I have two brothers, neither of whom served during World War Two. 10. Untrue; I do not, and never have, maintained a home at 800 Washington Street, Key West, Florida. 22.5. Untrue; my former father-in-law was never "one of [Generalissimo Francisco] Franco's senior generals." So far as I am aware he was not even a soldier in the Spanish civil war. 3.2.1. "When Irving was in Germany, supposedly working the Ruhr, he found the time to do extensive research for his first three books. This task would have been extremely difficult had he not received funding, material assistance, and access to private archives. A number of researchers have commented on this, notably Gitta Sereny." The implication of the word "supposedly" is that it is untrue. I have more than adequate documentary evidence of my employment in Germany at that time (1959-1960), and at any hearing of this action I shall produce payslips, correspondence with my steelworks employers and similar documentation to substantiate this, the sources of my income, and the state of my finances at that time. I started researching my first book in 1961. In the Daily Telegraph you will find an article by me published on September 6, 1960, entitled "Men Behind Germany's Miracle," in which I described my experiences at the steelworks. The Jewish Chronicle also published an article by me on the same theme. Let me state quite categorically that neither then nor since have I "received funding or other material assistance from Nazis" even taking the broadest definition of those words. 3.2.3. "Irving enjoys an opulent lifestyle, and has done for many years. It does not seem that he could maintain such a standard of living without source of income other than his books." Again the innuendo is that I received some kind of illicit funding from, as stated in the introductory paragraph, "Nazis." This is grossly libellous. My accountant will provide adequate evidence of my lifestyle during the time specified, which was not opulent. 4.1. "He is a fervent admirer of Hitler and Nazi Germany." The innuendo is that I uncritically admire the Nazi Führer Adolf Hitler and all his works--atrocities, monstrous crimes against humanity, and blessings alike; anybody who writes this libel is clearly unfamiliar with, or trying to ignore, the Introduction to my book Hitler's War, where I portrayed in fuller detail than is customary all of Hitler's crimes, as well as my many works and speeches in which I have set out the same material. 1. I was not dismissed as Editor of The Phoenix for the reason stated, but because I had lampooned the rector of the college in a front cover cartoon. It had two years earlier, when I was not editor, published an article by me exposing Albert Vögler, former Nazi chief of Vereinigte Stahlwerke AG, as a former member of Imperial College; this much-praised article was not however the reason for my dismissal (and it hardly fits in with the picture you are trying to paint). 3. The alleged quotations printed in the Daily Mail of May 1, 1959, were untrue, and invented by the reporter, Clifford Luton, a man subsequently convicted of child-molesting and dismissed by the BBC. In particular, neither then nor since have I called myself a "mild fascist." 4. It is libellous to state that I was active in the British Union of Fascists whilst at college. The BUF did not exist after the war; nor was I ever a member of its successor, the Union Movement. Once and only once did I share a speaking platform with Sir Oswald Mosley, much to his annoyance (he wanted his son Max instead). I was invited to second a motion at University College London's debating society in 1962, "This House believes that there should be some restriction on Commonwealth Immigration." Mosley was the principal guest speaker invited by the students. The innuendos contained in your report are therefore false. 2. "Irving had written in The Destruction of Convoy PQ.17 that Broome had deliberately abandoned the convoy to Nazi U boats." Untrue; there is no such statement or implication in the book. 9. Untrue. Otto Frank, the late father of Anne Frank, did not sue me successfully or otherwise for the allegation that her diary was forged. Although he was a very litigious old gentleman, at no time did he or anybody else initiate legal proceedings in Germany or anywhere else against me over this or any similar matter. Given the esteem in which he and his daughter are held worldwide, it is libellous to state that he did and that he won such an action. As for para. 25: I maintained my proposal to Otto Frank, expressed in polite one-on-one correspondence, that he allow forensic tests on the diaries, a demand which the German courts subsequently enforced in a case brought by him against another. "He [Irving] withdrew his demands after a successful lawsuit by Otto Frank forced him to do so" is substantially the same lie as above. 13. Very few of my talks in Germany--perhaps one percent of them--were organised by the GfP (a perfectly legal German intellectuals' organisation). I have never heard of a Mr Werner Hansler. Nor did they (para.17) invite me to visit the Frankfurt Book Fair; I was without exception invited to that event by my U.S. literary agent the late Maximilian Becker, and was only ever the guest there of the (American) Reader's Digest International. 27. "During the late 1970s, Irving appeared annually on the public list of 'Enemies of the State' compiled by the 'Office for the Protection of the Constitution of the Federal German Republic.' Some time in the early 1980s he was removed from the list on instruction of Herr Karstens, West German Secretary of State." This bizarre allegation is completely new to me; it is libellous, and I invite the Board to substantiate it. The post-script, "Irving had obviously become a far greater threat by the time of his removal from the list" is also libellous, and during the pre-trial preliminaries to any hearing of this complain I shall ask the Board to explain in its particulars the meaning of the word "threat." 28. The Clarendon Club of which I am proprietor and General Secretary is not "a dining club of extreme right wingers and neo-Nazis". The listing of the names of those present at the dinner, and their alleged associations, is libellous, as it implies that I was aware of these people and of their alleged affiliations, which I was not, and which I do not believe to be true. 2. "Irving angrily refused." This is untrue. I not only readily provided the Treasury Solicitor with access to the Churchill diaries, but I wrote to the Public Record Office offering them a set of the diaries at my own expense. 18. "Irving paid tribute to Hans Ulrik Rudel at his funeral in Rosenheim, Bavaria, shortly after Christsmas, 1982. The funeral was attended by around 2,000 mourners, many of whom it was claimed were elderly Nazis. Colonel Rudel, a famed Luftwaffe pilot, is believed to have played an important role in the odessa network duringthe post-war period." I did not attend the funeral of the Nazi Colonel Hans-Ulrich Rudel at Rosenheim in 1982. To my knowledge I never met him, nor have I ever been to Rosenheim. The whole paragraph is libellous, particularly given the wholly untrue inferences which the specialist reader is invited to draw from the implied linkage between ODESSA -- South America -- Nazis living abroad -- Irving's opulent style of living. 10. You reported that on August 10, 1983, the Guardian stated that I "ran the racist group WISE." I have never heard of this group, nor did I read the clipping at the time. It is untrue and libellous, notwithstanding that you simultaneously call the allegation a possible exaggeration. 4. "In May, Irving visited North London Polytechnic at the height of the controversy of [right-wing student leader] Patrick Harrington's attendance at the college." Quite untrue. I've never been there in my life nor have I to the best of my knowledge and belief met Mr Harrington. 1. It is untrue that Michael Joseph Ltd rejected my book Churchill's War owing to the severity of its attacks on Churchill. They held (and hold) a valid author's agreement for that book, and they subsequently negotiated the sale of paperback rights to Hutchinson's paperback imprint in the U.K., Arrow Books; they expressed to me strong displeasure in writing when I published the book in Australia, calling this a violation of their rights. The whole paragraph is untrue, and for a professional author, libellous. 6. "On 15.3.88 the Berlin Document Centre (where German WWII files are stored) announced that it wished to interview Irving with regard 'to the disappearance of at least 30,000 sensitive WWII documents'. Interpol was reported as having joined the search and 1,500 documents were said to have been recovered in raids in West Germany and West Berlin." This is particularly libellous for an historian who works much in sensitive foreign archives. It is true that the Berlin Document Center "wished to interview" me about the disappearance of 30,000 files; the reason was however that I had months earlier tipped off the German authorities (the German federal archives) in writing, warning them that irreplaceable original files which I had myself seen in the Berlin archives' vaults were mysteriously surfacing on the British auction market. The Germans warned the BDC on the basis of my tip. Thanks to my tip, the deputy director of the archives was arrested soon after and imprisoned, and I was publicly thanked in the German press. 14. I was not responsible for the publication of this leaflet, nor have I ever heard of it before. 6. Untrue. The march was not illegal, as the police subsequently determined; I did not join it, consequently nor was I charged. 7. Untrue. I am not writing any such book. Consequently nor have seven reputable publishers turned it down. 8. The belief stated here is wrong, and the innuendo contained therein is libellous. 2.1. This statement is grotesquely wrong: e.g., the suggestion that following the 1967 publication of my book Accident: The Death of General Sikorski, "the publishers, William Kimble [sic. William Kimber Ltd] were put on trial and forbidden to continue printing the book." There was not even a hint of a lawsuit against this book or me as its author. 7.4. Reviewing my biography Churchill's War the report states that I alleged that Mr Churchill was "a gentleman of much mixed blood," who had ended up as "the hired help of these Elders of Zion." These invented quotations appear nowhere in the book's 650 pages, and are by their innuendo libellous. 6.1. No ban on entering Germany has ever been notified to me. Consequently I did not illegally enter Schleswig Holstein "to address a number of clandestine neo-Nazi meetings" but spoke quite openly, with several police officers present and taking notes, to audiences of a cross-section of Germans at the end of October 1991; this particular German tour was filmed by Britain's BBC and independent television channels. 8. The Waterstones group has never "refused to sell" my book Hitler's War; the book is currently handled by 98 branches of Waterstones in the U.K. and Eire, and I have invoices and orders to prove it. We are all accustomed to a certain amount of rough and tumble, when we--as writers--are in the public eye. You and your anonymous authors have however stepped over the line that separates robust criticism from publishing malicious and reckless defamations with the avowed intention of injuring, and with reckless disregard for the truth. For thirty years and more I have adopted the Christian etiquette of turning the other cheek; I have gritted my teeth at these and similar smears, and looked the other way; no more. to pay an agreed sum of money in damages and in compensation for the injury wilfully or negligently inflicted on my reputation by this publication, and for the damages suffered in consequence thereof, whether whether within the jurisdiction of the British courts or abroad. Failing satisfaction in each and every one of the above five points, I reserve my rights to commence without further notice proceedings under the Defamation Act and to serve Writs against the Board of Deputies and the individual author or authors of these libels. I further expressly reserve the right to expand any statement of claim to include statements made in this publication complained of about me which are not set out above. May I now have a reply to this letter within seven days? Will you be so good in your reply as to indicate whether the address below is the Registered Office of the Board of Deputies of British Jews, and whether it is a registered company under the definitions of the Companies Act; and to confirm the identities of the President, the Chief Executive, and the director of the Research Unit at the Board of Deputies of British Jews in June 1992; and to confirm whether you will receive service of legal documents or instruct solicitors to act on your behalf. for an order that he be granted leave under Section 32A of the Limitation Act 1980 to institute proceedings for Libel against the above-named Intended Defendants and that provision may be made for the costs of this application. AND let the Intended Defendants within fourteen days after service of this summons on them counting the day of service return the accompanying acknowledgement of service to the appropriate Court Office. NOTE: This summons may not be served later than four calendar months beginning with the above date unless renewed by order of the Court. NOTE: If a defendant does not attend personally or by his counsel or solicitor at the time and place above-mentioned such order will be made as the Court may think just and expedient. Directions for Acknowledgment of Service are given with the accompanying form. 1. I depose to the facts and matters herein from my own knowledge. I make this affidavit in support of an application under the Limitation Act 1980 s 32A for an order that I be granted leave to institute proceedings for Libel against the above-named Intended Defendants. I refer to the affidavit sworn by my assistant and agent Miss Barbara KULASZKA, solicitor, of Brighton, Ontario, Canada, dated October 15, 1996, and to the exhibits thereto. There is now produced and shown to me marked "DJCI 1" [not posted on this site] a paginated bundle of copy documents which are the aforementioned affidavit and exhibits, which contain the documents complained of as libellous and which show the efforts that were made to identify the author or authors and/or publisher of the libels. I aver that the libels complained of were published to divers other persons in or about 1991 and 1992, and that because of deliberate concealment by the Intended Defendants and by the aforementioned other persons I did not ascertain the relevant facts, namely the identities of the author or authors and/or publisher of the libels, until on or about December 22, 1995 which date is therefore my "date of knowledge" of the relevant facts. Following certain events which transpired in the Canadian provinces of British Columbia and Ontario beginning in October 1992 and terminating on November 13, 1992 I instructed the aforementioned Miss KULASZKA to procure while acting at all material times as my agent all relevant files from the Canadian government authorities under that country's Access to Information Act 1980 81 82 83, c. 111, Sch. I "1", and to furnish true copies of the said files to me. On or shortly before December 24, 1994 while writing in the United States of America I received from the said Miss KULASZKA a spiral-bound file of documents which contained certain copy documents which she represented to me as having been procured from the confidential intelligence files of the Canadian Department of Citizenship and Immigration under the said Access to Information Act while acting on my instructions and at all times as my agent, which representation I verily believe to be true. There is now produced and shown to me marked "DJCI 2" a paginated bundle of copy documents which are such items released to us at that time by the Canadian Department of Citizenship and Immigration. I found that the principal items contained in this file consisted of two libellous reports which as I have been informed and verily believe to be true were paginated by the Access to Information Branch of the said Canadian Department of Citizenship and Immigration which numbered those pages from 000157 to 000193 [page 27]. The first such report numbering thirty-two pages, paginated 000157 to 000187, purported to describe my life and works from the date of my birth March 24, 1938 to January 1991 which year I aver was the approximate date of first publication of this first report. The second report of six pages paginated 000188 to 000193 purported to describe my continuing life and works from early 1991 to the final entry dated April 1992, which year I aver to have been the approximate date of first publication of this second report [page 58]. I found there was in the same file an unpaginated page [page 26] immediately preceding the page 000157 which unpaginated page was classified as CONFIDENTIAL, titled "DAVID IRVING--BANS" and headed "D.O.R.." and dated June 17, 1992. The first two paragraphs on this page had been blanked out as I am told and verily believe to be true by the aforementioned Access to Information Branch of the said Canadian Department of Citizenship and Immigration who annotated the bottom of this page with the reference "13(1)(a)", this being the section of the Act relied upon by the said Branch for such exemption. Evidence adduced from the rest of the file shows that this page is a British document and that the original thereof was attached to press clippings provided to the Intended Second Defendant, and then forwarded by him and/or the Intended First Defendants to others including agencies in Canada, which clippings reported a South African government ban imposed on my re-entering South Africa in June 1992. The aforementioned unpaginated sheet of paper has its paragraphs numbered in a progressive system ["3.3.1...", "3.3.2...," "3.3.3"] identical to that of the libellous reports. I verily believe that this one-page document is a covering letter published by the Intended First Defendants to divers other persons together with the said clippings and the two libellous reports, and that the first paragraphs if and when they are released to me or when they are duly revealed by Discovery will make this manifest. It proved a time-consuming process to establish by various devices the identity of the author or authors and/or publisher of the libels. It was manifest from internal evidence therein that the libellous reports had been prepared on an electronic computer or word processor. Having evidently been updated from time to time the libellous reports ergo fell within those provisions of the Data Protection Act 1984 designed to protect individual Data Subjects whose personal data are recorded by corporate or other Data Users on electronic databases. Upon my return to the United Kingdom I established telephone contact with the Data Protection Agency on or about July 31, 1995 and this agency confirmed to me the criteria needed for them to take action under the 1984 Act. They confirmed to me that the Intended First Defendants had registered such a database under the said Act and I was informed on or about August 4, 1995 that they had registered their certification as a Data User with the said agency on August 12, 1988 under Registration Number C.1041013 and that requests by Data Subjects for access to any data held on them were to be addressed to their Research Unit of the Intended First Defendants. Under this certificate of which I procured a certified copy [pages 77 84] the Intended First Defendants purported to collect and disseminate to divers other persons intelligence data about subjects including elected representatives, holders of public office, authors, publishers, editors, artists and other creators. I aver that the classes of the intelligence data to be collected and disseminated were similar or identical to the classes of data contained on me in the libellous reports complained of. The Intended First Defendants purported to collect the aforementioned intelligence data from sources including subjects' past employers, financial and legal representatives, business and personal colleagues, and social, spiritual, welfare or advice workers, as well as from the courts of law, the published media and private data providers. The Intended First Defendants furthermore purported to collect data including membership lists of clubs, societies and institutions, data on offenders both past and suspected, and personal data on subjects including their current marital or partnership history and status, other members of their household, their social contacts, their personality and/or character, their leisure activities and interests, their lifestyle, their professional expertise, their business activities, their property and possessions, licences or permits held or applied for by them, court proceedings involving them, their academic records, qualifications and skills, their publications, their career history, their business activities, their disabilities and infirmities, their dietary and other special health requirements, their racial and ethnic origin, their political and religious and other beliefs, and pressure groups supported by them. The Intended First Defendants furthermore purported to procure some or all of the said data from, and/or to share them with, police forces, political organisations, prosecuting authorities, and survey organisations. They specifically purported to carry out the lobbying of organisations and public authorities on matters of concern to themselves. Since the Intended First Defendants had however no authorisation under the Act to disclose or transfer the said data on Data Subjects to countries or territories outside the United Kingdom, not having registered such an intention or wish in advance with the Agency pursuant to the Data Protection Act 1984, the Intended First Defendants had prima facie committed an offence in causing copies of the libellous reports on their database to circulate in a foreign country or in foreign countries which included Canada. Exercising my formal rights under the Data Protection Act on July 31, 1995 I served on the Intended Second, Third, and Fourth Defendants on their own behalf and on behalf of the Intended First Defendants forty days' written notice to provide to me access to all and any files maintained by the Intended First Defendants or their affiliated agencies on their database relating to me [pages 85-87]. No substantive reply having been received, I sent a similar letter by Recorded Delivery mail to the Research Unit of the Intended First Defendants on August 9, 1995 [page 89]. After I sent further reminders to the Intended First Defendants namely letters dated August 19 [page 91] and September 4, 1995 [page 94] the Intended Second Defendant writing on their behalf sent me an official letter dated September 7, which date was the thirty-eighth day after notice had been given, denying that his organisation held "any personal data (as defined by the Act)" on me [page 95]. I asked the Intended Second Defendant in a letter dated September 8, 1995 and sent by Recorded Delivery whether he or an authorised representative of the Intended First Defendants would swear to this denial in an affidavit [pages 96, 97]. No reply having been received, I repeated the challenge in a letter to the Intended Second Defendant dated September 16, 1995 [page 99]. He responded to me in an official letter dated October 3 but postmarked "London wc1, October 26, 1995" which response showed him to be still acting on behalf of the Intended First Defendants, and which response stated that no, he would not swear to this denial in an affidavit [page 101]. In a similar act of deliberate concealment to which it is contended the Defendants were a party by virtue of having marked the libellous reports as confidential the Canadian releasing agency removed all captions, titles, addresses and other text which might serve explicitly to identify the author or authors of the libellous reports or those who had published these materials to them from the United Kingdom. I suspected at or about this time namely the late summer of 1995 that the author or the authors or in the alternative the publisher of the aforementioned reports within the meaning of the Defamation Act 1952 might be the Intended First Defendants namely the Board of Deputies of British Jews (whose name for statutory purposes is "The London Committee of Deputies of The British Jews") and/or its agents officers or staff namely the Intended Second, Third, and Fourth Defendants. The Board of Deputies of British Jews, the Intended First Defendants herein, is referred to explicitly on pages 000178 and 000190 [pages 48 and 60]. The second Report quotes data supplied by one Gerald FLEMING, a known informant of the Intended Second Defendant Whinge, a senior officer of the Board. The same file contains on consecutive unpaginated pages a true copy of the signed original of a typed letter dated June 5, 1992 from Mr Seymour KOPELOWITZ of the South African Jewish Board of Deputies to the Second Defendant received at the address of the Intended First Defendant [page 75], and a true copy of a hand-written letter sent by the said FLEMING and received by the Second Defendant Whinge dated June 16, 1992 [page 76]. It is significant that the Report states on page 000188 that in February 1991 the said FLEMING had secretly informed the Board of Deputies of British Jews, the Intended First Defendants herein, that IRVING, the Plaintiff herein, had telephoned him to propose they write a book together on the Holocaust; and that FLEMING had told the Intended First Defendants that he had "angrily refused and demanded that [IRVING] cease his denial activities" [page 58]. Given the nature of this communication by FLEMING to the Board, as reported in the report, I aver that this is further evidence that the Board of Deputies had authored and/or published the libellous reports. There is a wealth of internal evidence in further files obtained by me under procedures similar to the said Canadian Access to Information Act from other Canadian agencies and from the agencies of other governments including correspondence between the Intended First, Second, and Third Defendants and various foreign ambassadors and intelligence services proving the endeavours of some or all of the Intended Defendants to procure and recklessly to disseminate intelligence data against me whether true or false which were to be used specifically for hounding persecuting and vilifying me in my calling as an international historian and author and if possible for procuring my arrest and imprisonment as well as my banning exclusion and deportation from foreign countries around the world in which I had freely and without let hindrance or complaint travelled, researched, done business and lectured for nearly thirty years before the Intended Defendants' campaign began. The evidence hereinbefore mentioned includes true copies of documents lawfully obtained by procedures similar to the said Canadian Access to Information Act relating to South Africa, Germany, Australia, Austria, and Britain, including letters signed and/or hand-written by and/or addressed to the individual Intended Defendants acting as agents of the Intended First Defendants and specifically targeting me as the victim of their international campaign. I was however still not possessed of all the necessarily relevant facts and in particular of adequate proof of the identity of the authors of the reports to enable action to be taken under the Data Protection Act 1984 or under the Defamation Act 1952. Over the period from about August 1995 to about December 1995 I made further efforts to establish and confirm the identity of the authors of the libellous reports. Acting on fresh instructions which I faxed to her on August 25, 1995 [pages 92 3], my agent Miss KULASZKA made further applications to the Canadian Ministry of Immigration and to the Information Commissioner of the Canadian government for these data, maintaining that they were improperly withholding these relevant facts from us. For this and the following I respectfully draw the attention of this Honourable Court to Miss KULASZKA's supporting affidavit dated October 15, 1996. The Canadian government agency's response was a continued deliberate concealment of the identity of the author or authors of the libellous reports and of their publishers. On November 3, 1995 Miss KULASZKA informed me that the agency was relying on s 13(1)(a) of the Canadian Access to Information Act which enjoined them from disclosing any record that contained "information that was obtained in confidence from (a) the government of a foreign state or an institution thereof [....]" The wording left it ambiguous whether the information had been so exempted from disclosure because the source was a non-governmental foreign institution, or the institution of a foreign government [pages 64]. In a letter sent by recorded delivery on November 7, 1995 I challenged the Intended First and Second Defendants to identify a document referred to as "a manuscript on David IRVING," to wit the Intended Plaintiff in this action, which as I knew from disclosed documents the Intended Third Defendant had forwarded to the Federal German embassy at the Court of Saint James on or about October 1992 [page 100]. No reply has yet been received to this letter. That I was still uncertain of the identity of the authors of the libellous reports complained of is shown by my note of a telephone conversation with an Advice and Compliance Officer of the Data Protection Agency on November 7, 1995 [page 106]. In order to establish with certainty that the Defendants were jointly and severally the authors and/or publishers of the libellous reports complained of I therefore sent on or about November 14, 1995 a formal Letter before Action to the Intended First Defendants marking this said letter for the attention of the Intended Second Defendant. In the said letter I explicitly accused these defendants of authoring and publishing the libellous reports, of which I quoted a number of extracts verbatim [pages 107-113]. At about the same time, in a letter sent on or about November 17, 1995, I put the Data Protection Agency on notice that I was contemplating seeking or pursuing action against the Defendants for violations of the Data Protection Act [pages 114-116]. This letter makes plain that I was currently undertaking "legal man uvres to smoke the [Intended First Defendants] out and to oblige [them] to admit authorship of the documents [...]"
On or about November 22, 1995 a firm of solicitors informed me that they had been instructed by the Intended First Defendants in this matter [page 118]. Acting at all material times for the Intended First Defendants the said solicitors informed me by letter dated on or about December 22, 1995 (after I sent them written notice that it was my intention to institute proceedings on December 1 if no substantial response was received) that they had now considered my letter of November 14 and that they had now had a chance to consider its contents "and also the report about which you complain" [page 120]. It is averred that this was manifestly a reference to the libellous report or reports of which I made complaint in my letter of November 14 and that these solicitors had obtained them directly from their clients. My London office faxed a copy of the aforementioned solicitor's letter which was dated December 22, 1995 to me in the United States and that same day at 9:26 a.m. I faxed to my agent Miss KULASZKA in Ontario a message indicating that this latest device had worked and that the Intended First Defendants had "implicitly accepted the authorship of that Report--the one thing we could not (yet) prove" [page 121]. (ii) until December 22, 1995 this relevant fact had been deliberately concealed from me. At no time since then, in their eleven-month-long correspondence with me to this date, have the Intended First Defendants' solicitors sought to deny their client's authorship of the reports complained of. In any event I contend that the authorship of the reports complained of is a matter which even if now belatedly denied will be readily clarified by proper Discovery or Interrogatories whereupon if need be application will be made for leave to amend the Writ and/or Statement of Claim. In Dalgliesh v Lowther  2 QB 590, CA it was established that the Plaintiff may interrogate the Defendant as to whether he published the words complained of and as to the identity of the publishees. Since there is authority for holding that the date on which the cause of action accrues is the date of publication of the libels (namely Grapelli v Derek Block [Holdings] Ltd  1 W.L.R. 822;  2 All E.R. 272, CA) it might be falsely claimed on behalf of the Intended Defendants that the libellous reports having manifestly been written in 1991 and 1992 and published on or about these dates and there being no evidence yet known to this Plaintiff that they have subsequently been republished within the last three years except in privileged communications to the Intended First Defendants' solicitors the restrictions foreseen under the Administration of Justice Act 1985 s 57(2) inserting the Limitation Act 1980 s 4A obtain and that it is therefore not lawful to institute proceedings under the Defamation Act 1952. (ii) "shall not be brought without the leave of the High Court." he may at the Court's discretion be allowed to bring proceedings up to one year after he first knew "all the facts relevant to that cause of action." I respectfully aver that in the premises I have satisfied this Honourable Court that I was ignorant of "all the facts relevant to that cause of action," namely the facts as to who had authored and/or published the report or reports, until after the limitation period expired. I submit that this ignorance was sufficient reason not to have brought proceedings within the limitation period. I further submit that pursuing the action at this date will not result in any injustice to any Intended Defendant. I aver that particularly in the face of the Intended Defendants' earlier denial (paragraph 17 supra) it was only on or after December 22, 1995 that I established the relevant facts namely that the defendants were indeed the authors and/or publishers of the libellous reports, which said facts only now enable me to issue proceedings against these defendants. leave to commence proceedings against the Intended Defendants. TO THE DEFENDANTS THE LONDON COMMITTEE OF DEPUTIES OF THE BRITISH JEWS (AN UNINCORPORATED BODY ALSO KNOWN AS "THE BOARD OF DEPUTIES OF BRITISH JEWS") whose Office is situate at Woburn House, Tavistock Square, London WC1H OEP, and to MICHAEL Whinge, of Commonwealth House, 1 19 New Oxford Street, London WC1A 1NF, and to NEVILLE ANTHONY NAGLER, also of Woburn House, Tavistock Square, London WC1H OEP and to ELDRED TABACHNIK, of 11 King's Bench Walk, London EC4Y 7EQ. This Writ of Summons has been issued against you by the above-named Plaintiff in respect of the claim set out herein. Within 14 days after the service of this Writ on you, counting the day of service, you must either satisfy the claim or return to the Court office mentioned below the accompanying Acknowledgement of Service stating therein whether you intend to contest these proceedings. If you fail to satisfy the claim or to return the Acknowledgement within the time stated, or if you return the Acknowledgement without stating therein an intention to contest the proceedings, the Plaintiff may proceed with the action and judgement may be entered against you forthwith without further notice. Issued from the Central Office of the High Court this day of 1996. NOTE: This Writ may not be served later than 4 calendar months (or, if leave is required to effect service out of the jurisdiction, 6 months) beginning with that date unless renewed by order of the Court. Directions for Acknowledgement of Service are given with the accompanying form. The Plaintiff's claim is for libels contained in the thirty-one page report headed "CONFIDENTIAL. DAVID IRVING -- BIOGRAPHICAL INFORMATION" and in the six-page continuation thereof headed "1991" the whole of which document the Defendants did jointly and severally publish or cause to be published in or about June 17 of 1992 to the League for Human Rights of B'nai Brith Canada and to divers other parties within and without the United Kingdom. This Writ was issued by the Plaintiff, David John Cawdell Irving, whose address is 81 Duke Street, Grosvenor Square, London W1M 5DJ, telephone 0171 499 9409, acting in person. 1. The Plaintiff is and was at all times material to this action a reputable and well known writer publisher and lecturer wholly or largely dependent since 1961 on his income from writing publishing and marketing books and from lecturing at home and overseas on topics of modern history. He is the author of several works of biography including one entitled Goebbels. Mastermind of the Third Reich. The First Defendants name is for statutory purposes the London Committee of Deputies of the British Jews. This unincorporated body more commonly known as "The Board Of Deputies Of British Jews" (hereafter THE BOARD) is the representative body of the British Jewish community, and carries on its business as a long-established (established in 1760) well known and reputable body within the jurisdiction of this Honourable Court. By way of that business the First Defendants purport to collect and disseminate intelligence data about subjects including elected representatives, holders of public of ce, authors, publishers, editors, artists and other creators. 3. The First Defendants purport to collect the aforementioned data from sources including subjects' past employers, nancial and legal representatives, business and personal colleagues, and social, spiritual, welfare or advice workers, as well as from the courts of law, the published media and private data providers. The First Defendants furthermore purport to collect data including membership lists of clubs, societies and institutions, data on offenders both past and suspected, and personal data on subjects including their current marital or partnership history and status, other members of their household, their social contacts, their personality and/or character, their leisure activities and interests, their lifestyle, their professional expertise, their business activities, their property and possessions, licences or permits held or applied for by them, court proceedings involving them, their academic records, quali cations and skills, theirpublications, their career history, their business activities, their disabilities and in rmities, their dietary and other special health requirements, their racial and ethnic origin, their political and religious and other beliefs, and pressure groups supported by them. The First Defendants furthermore purport to procure some or all of the said data from, and/or to share them with, police forces, political organisations, prosecuting authorities, and survey organisations. They speci cally carry out the lobbying of organisations and public authorities on matters of concern to themselves. The Second Defendant Michael Whinge is a senior official of the Board and at all material times acting as servant and agent of the Board. 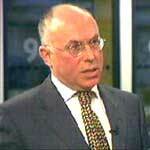 The Third Defendant is Neville Anthony Nagler, born 2.1.1945, chief executive of the Board. The Fourth Defendant is Eldred Tabachnik, has been President of the Board since 1994. The Plaintiff will show at the hearing of this action that the true or legal innuendo of the words otherwise complained of hereinbefore as being published in the Work is that he is a person unfit to be allowed access to archival collections; and that he is a person who should properly be banned from foreign countries regardless of the effect this will have on the lawful exercise of his profession. 14. The Work complained of is a [[intelligence report]] purportedly of a non-fiction nature and not a transient newspaper article or radio or television broadcast. It is specifically designed to be lodged permanently in secret intelligence files containing personnel data. The libel is therefore of a character which lasts long after the actual date of publication dissemination sale or offering for sale of the libel or libels by the Defendants. (iii) the Defendants continue despite having been informed by their solicitors of the commencement of these proceedings maliciously to publish the same similar or graver defamations against the Plaintiff thereby causing him actual pecuniary loss. an injunction restraining the defendants and each of them whether by themselves their servants or agents or otherwise from further publishing or causing to be published the said or similar words defamatory of the Plaintiff. I refer to my first affidavit sworn on October 25, 1996, and to the exhibits thereto. There is now produced and shown to me marked "DJCI 3" a paginated bundle of copy documents [not posted on this site] which are the letters referred to hereinbelow. On October 14, 1996 I informed the Solicitor acting for the Intended Defendants in an open letter [page 129] that since my attempts, initiated on December 23, 1995, at reaching a conciliatory solution had failed, I would now submit a claim for damages for defamation and would proceed as soon as affidavit evidence and exhibits (a reference to Exhibit DJCI 1 to the abovementioned affidavit) arrived from overseas. On October 17, 1996 after receiving word of the ongoing nature of the defamations being currently published in Australia by the Intended Defendants, I wrote an open letter [page 130] calling upon the Solicitor acting for them to invite them to dissociate themselves therefrom, to which he made no reply. On October 18, 1996 I sent to the First and Second Intended Defendants a Recorded Delivery letter [page 131] giving them for the second time notice under the Data Protection Act to allow me access to data held on me; they replied on October 31, 1996 [page 139] denying for a second time that they held such data. On October 18, 1996 the Solicitor acting for the Intended Defendants wrote an open letter [page 132] referring to privileged communications which had passed between the parties. I replied on the same date [page 133] that it had been my sincere hope that our past months of correspondence would achieve a relatively painless way of redressing the damage done to me by his clients through their clandestine world-wide campaign of reckless defamation. On October 26, 1996 I informed the Solicitor acting for the Intended Defendants [page 134] that since we had failed to reach agreement on the amicable basis we had discussed elsewhere I was serving on them with that letter a summons to attend the current application before this Honourable Court. On October 31, 1996 the Solicitor acting for the Intended Defendants asked me [page 135] to consent to an adjournment at their Counsel's convenience. I responded on November 1 [page 136] that I did not intend to countenance delays since I had suffered damages on a global scale and these demanded early redress. Later on November 1, 1996 a Times journalist informed me, and I verily believe this to be true, that the Solicitor acting for the Intended Defendants had suggested that my motive in pursuing a suit for defamation against his clients was greed. I sent him an immediate letter [page 137] reminding him that I had negotiated in good faith with him for eleven months, having stated explicitly that I would not seek damages if we could reach an amicable settlement. Later on November 1, 1996 the Solicitor acting for the Intended Defendants wrote to me [page 138] confirming for the first time explicitly that his clients had written and published the statements complained of. In the premises I submit that the delays in instituting these proceedings before this Honourable Court have been caused by the concealment practiced by the Defendants and/or in the alternative by their attempt to spin out negotiations for an amicable settlement into which negotiations I for my part entered in good faith. 1. I am the director of the Defence and Group Relations Department of the Intended First Defendant ('the Board'). The Board is the representative body of the Jewish community in the United Kingdom and has been in existence since 1740. My responsibilities relate to external threats to the security and wellbeing of the Jewish community. I am authorised to make this affidavit on behalf of all the Intended Defendants. The contents of this affidavit are true and derived from my own knowledge save where appears otherwise from the context. 2. The Intended Plaintiff ('Mr Irving') has published several books, including biographies of Hitler and Goebbels. His career is described in the report about which he seeks leave to commence libel proceedings (the 'report') which is exhibited to Mr Irving's affidavit at pages 27 to 63 of DJCI1. 3. Mr Irving's activities have been monitored by the Board for a number of years. The reasons for this are plain from the report. The report was compiled by my department as part of its normal day to day activities. It was not intended for external circulation. However, at some time in 1992 I received a request for information on Mr Irving by the B'nai Brith League of Human Rights, a similar organisation to the Board in Canada. They were in the process of providing information to the Canadian Department of Citizenship and Immigration which, at the time, was considering whether to permit Mr Irving to enter Canada. Mr Irving obtained a copy of the report following his inquiries in Canada under the Canadian Access to Information Act. This is common ground between Mr Irving and the Intended Defendants. What are not common ground are two key issues developed in Mr Irving's evidence in support of his application for leave to issue proceedings, namely his 'date of knowledge' of the relevant facts which he puts at 22 December 1995 and what he terms the Board's 'deliberate concealment' of the authorship of the report. I will take each of these in turn. 4. Mr Irving puts his 'date of knowledge' of the identity of the author of the report at 22 December 1995. This is plainly not true. Mr Irving must have known the identity of the author of the report considerably earlier for the following reasons. a. The report on its face made it likely that it was written by, or at the instigation of, the Board. The report is obviously compiled by an English, Jewish organisation. Sources that are cited in the report are English newspapers and radio stations. The vast majority of the incidents referred to took place in England. His English telephone number is listed without the international dialling code. Mr Irving knows precisely the type of information the Board keeps on him. He is well aware that the only Anglo-Jewish association which would or could publish the report is the Board. At paragraph 19, Mr Irving sets out the information that led him to this belief. It was the which led him to make his (in the circumstances, quite needless) enquiries under the Data Protection Act in the Summer of 1995 which are referred to in paragraphs 10-16 of his affidavit. I was the person at the Board dealing with the enquiries. At the time, I had no idea that Mr Irving had a copy of the report in his possession. It did not occur to me that he was making his requests under the Data Protection Act he was, in fact, seeking an admission as to the authorship of the report. I will return to this in respect of 'concealment' below. c. Given that Mr Irving was on notice that the Board had written the report he ought to have asked the Board directly whether it had or not. On his own admission, therefore, Mr Irving suspected that the Board was the author of the report (see paragraph 18 of his affidavit). All he had to do was to ask for confirmation of the Board's responsibility for the report. If he had asked the Board, the Board would have confirmed that it was the author. There was no need to go through the pointless Data Protection Act exercise. In fact, Mr Irving was on notice from the time he first received a copy of the report on 24 December 1994 from his Canadian lawyer Miss Kulaszka (see paragraph 6 of Mr Irving's affidavit). His knowledge then was exactly the same as his knowledge immediately prior to making his enquiries under the Data Protection Act. Presumably, he suspected as early as December 1994 that the author of the report was the Board. In any event, he did nothing about it until 31 July 1995 when he served his first request under the Data Protection Act. It must be remembered that in September 19995 I had no idea that a copy of the report was in Mr Irving's possession. Neither I nor Mishcon de Rhea (the solicitors acting on my behalf of the Intended Defendants) realised until reading paragraph 30 of Mr Irving's first affidavit and page 121 of DJCI2 that Mr Irving was using a circuitous and time consuming method of asking a simple question (or avoiding asking it). Without realising what information Mr Irving was in fact seeking to obtain we were not in a position to shorten matters. Only he was. d. Mr Irving's actual knowledge of the identity of the author of the report prior to 22 December 1995 is set out in his documents sent out at the time. There is material other than Mr. Irving's admissions in his affidavit which support the fact that he was aware of the authorship of the report earlier than 22 December 1995. There is now produced and shown to me in an exhibit marked 'MW1' two documents prepared by Mr Irving. The first is named 'David Irving's Action Report'. It is the October 1995 edition. It is published by Focal Point (Mr Irving's imprint) and is used to raise funds for his 'Worldwide Legal Fighting Fund'. In it (at page 3 of MW1) is an article: 'Irving launches 'Bodyline' sting to smoke out the Traditional Enemy'. The 'traditional enemy' in Mr Irving's anti-semitic parlance are Jews. The organisation to which he refers in the article is the Board. He makes further reference to his complaints under the Data Protection Act and steps he intends to take under it. It is interesting to note that Mr Irving comments in the article (see column 3) that 'it's an ill wind that blows nobody any good'. 'Ill wind' is the name of Mr Irving's file relating to this dispute that appears on all his correspondence (see for example pages 119 and 123 of DJCI2). The reference to 'they' is to the Board. The documents referred to is the report. The quotation about the opulent lifestyle is a direct reference (completely wrongly quoted and taken out of context) to an allegation made about him in the report (see page 29 of DJCI1). from this document and the one mentioned above it is clear that Mr Irving was well aware that the Board had written the report at least as early as October 1995. 5. There has been no concealment deliberate or otherwise. The Board keeps no documents on Mr Irving on computer either on hard disk or on floppy disk. All information on Mr Irving which the board keeps is kept on hard copy. I was therefore able to write in the terms that I did on 7 September 1995 (see page 95 of 'DJCI2') confirming that the Board did not hold any personal data (as defined by the Act) on Mr Irving. Instead of them asking about the authorship of the report directly Mr Irving laid a convoluted 'trap' (as he terms it) to obtain details of the report's authorship. That this so called trap was unnecessary is made clear from what I say at paragraph 3c. Above. a. Mr Irving ought to have commenced proceedings when he received a copy of his report in December 1994, or at least have followed up his suspicions by making sensible enquiries. Since then 22 months have elapsed. During this many things have occured to affect the Board's ability to defend a libel action. The report was compiled from a mass of documents not all of which are in the possession of the Board. Retrieving such documentation will be difficult. Certainly, information that was retrievable 2 years ago will be difficult to retrieve now and the memories of those who compiled the report will have faded. Information was also gathered by way of oral interviews. The memories of the sources will also inevitable have faded. b. The cost implications for the Board are horrendous. The Board is a charitable organisation funded by the Jewish community via levies from members of the synagogues around the country. The cost of defending a potentially very large and wide ranging libel action could have a detrimental effect on the Board's constituents and the important work it does for the Jewish community. Because of the passage time and the reasons stated in (a) these costs will undoubtedly be higher than they would have been had the proceedings been issued 2 years ago. c. An additional argument relates to confidentiality. Much of the information the Board has collected on Mr Irving is confidential in nature and sources do not want their identity disclosed. Each year new sources with new information contribute it to the Board. Were Mr Irving to have sued in 1994 discovery would have compromised the anonymity of some of the Board's sources. This is a consequence of litigation the Board would have accepted. However, were the Court to grant Mr Irving leave now to commence proceedings, additional sources who have provided information over the past 22 months will have to be revealed. This is not a necessary consequence of anything other than Mr Irving's delay. 8. For the reasons stated in the paragraphs above I would ask the Court not to exercise its discretion in Mr Irving's favour. I refer to my previous affidavits sworn on October 25 and November 5, 1996, and to the exhibits thereto. I had previously visited Canada without difficulty some thirty times since 1965, and lectured and promoted my writings around the world. In consequence of the above-mentioned entry bans enforced against me, because of the actions of the Defendants and their agents overseas, by the governments of Canada, Australia, New Zealand, South Africa, as well as by the governments of Germany, Austria, and Italy, I have suffered accumulated losses since 1992 of many hundreds of thousands of pounds sterling in speaking fees, book sales, publishing royalties and license fees and other emoluments, television and radio fees, as well as legal costs. These consequential losses will continue in coming years. The Defendants successfully conspired in secret with their overseas partner organisations and other agents to destroy my livelihood, denying me my civil rights and robbing me of my liberty and of my freedom of speech around the world. para.4 (a): In retrospect it is easier to state with the requisite particularity who the report's author was. In 1994-5 however I was aware of at least a dozen possible contenders, both Jewish and non-Jewish (e.g. the Socialist Workers Party of Great Britain). I established that among Jewish organisations capable of having written it were SearchlightMagazine Ltd., the Jewish Chronicle, the London Institute of Jewish Affairs, and the Board of Deputies of British Jews. Upon my return to the U.K. at the end of June 1995, I instituted identical inquiries under the Data Protection Act 1984 of each of these bodies, my file for these bodies also being named ILL WIND. I wrote to the Jewish Chronicle on July 31, 1995 with a reminder on September 1, 1995; I wrote to the Data Protection Agency asking for the registration details of the Institute of Jewish Affairs and Searchlight Magazine Ltd. on October 25, 1995. I wrote by recorded delivery to Searchlight and to the Institute of Jewish Affairs on November 17, 1995, putting them on notice to give me access (see page 114 above); the former properly assisted me, the latter denied holding any records. para.4 (b): My communications with the Data Protection Agency were concerned additionally with asserting my rights as a Data Subject under the Act. Ten days ago, on November 4, 1996, since I was satisfied that on the balance of probabilities, provided that the Board of Deputies of British Jews had not pre-emptively destroyed all its information files on me, it was not withstanding its denials still maintaining data about me on its registered database, I wrote to the Data Protection Agency asking it to institute compliance and enforcement procedures against the Board. para.4 (c): My concern in not identifying to the Board the information I had received was to prevent it from destroying any or all of the files it held on me before they could be inspected by myself or by the Agency. Whether the 'Data Protection Act exercise' was pointless remains to be seen. para.4 (d): The Second Defendant has distorted the infrequent stereotype references to a 'traditional enemy' in my irregular newsletter Action Report -- which reports on my worldwide legal actions. The reference is not to an enemy of me (or 'us') but explicitly to 'the traditional enemy of the truth' (see e.g. para. 1 of the Christmas letter's first page, and the first line of its second page). The OPERATION BODYLINE was a fictious codeword used in the newsletter in a further attempt to smoke out who the author of the report was, since we were aware that various unauthorised addresses were on the mailing list. The real file-name was ILL WIND. The Action Report issue dated October 1, 1995 referred to a 'North London' body identified as Network HQ: To my knowledge there are situated in North London the Zionist Federation and the Jewish National Fund namely at Balfour House in Finchley or Hendon, while the offices of B'nai Brith and the Herut Party's branch in the UK (that is, the late Menachem Begin's party) is in Compayne Gardens, West Hampstead. The Board of Deputies of British Jews is however not in North London but at Woburn Place, London WC1. Notwithstanding the several averments to the contrary contained in the Intended Second Defendant's affidavit ('The reference to "they" is to the Board') there is not one explicit reference anywhere in Exhibit MW1 to the Board of Deputies of British Jews. If I were fully satisfied that the Board of Deputies of British Jews was the report's author in October 1995, there would have been no reason for me to urge my Canadian representative as recently as August and September 1996, at no little expense, to continues pressure on the Canadian government to identify the said author or authors to us. I refer to the Kulaszka affidavit (page 68 above). para. 5 It is noted that the Intended Second Defendant does not claim that the Board never kept documents on me on its computers, only that it 'keeps' none. Since in my submission it is clear that thereport complained of is computer- or word-processor generated, I did not trust the Intended Second Defendant's denials. The conduct of the Board's partners in Canada clearly showed what I had to expect. On January 9, 1996 I sent by U.S. priority mail a Letter before Action, referring to the report complained of, to Dr Karen R Mock, National Director of the League of Human Rights of the B'nai Brith Canada, at their office in Toronto, Ontario--essentially the same letter as that sent to the Board of Deputies of British Jews on November 14, 1995 (for which see pages 107ff). I received no reply. On February 7, 1996 I wrote to Dr Mock a registered letter enclosing a second copy of the letter, and again received no reply. para. 6 (a) If there has been a rash of document-shredding in anticipation of Data Protection Agency activity or of Discovery, this Honourable Court ought not now to allow the Intended Defendants to plead the lack of original documentation as a prejudicial factor. What kind of intelligence agency destroys its files within two years? The Intended Second Defendant Whinge further avers that memories of event 'inevitably have faded' after two years. Britain's only war crimes trials is expected to be conducted against a Surrey man on the basis of recollections of events over fifty years ago. An American auto worker was nearly hanged in Jerusalem on the basis of such evidence. para. 6 (b) It is submitted that the costs of defending a libel action would be horrendous. Audited financial figures for the Board of Deputies of British Jews are not known to me. Those for the B'nai Brith Canada, which the Intended Second Defendant Whinge testifies in para. 3 is an organisation similar to the Board of Deputies of British Jews, are as follows: B'nai Brith Canada had assets totalling $27,007,987 in 1992 and $26,354,068 in 1991. B'nai Brith Canada's income totalled $4,447,490 in 1992 and $4,573,489 in 1991. Its 'League of Human Rights' had in 1992 a nationwide revenue of $140,000 and its Ontario office a revenue of $54,000. para. 6 (c) The Defendants' spies, stoolpigeons, agents do not want to be 'outed'. I submit that there is no material difference between their being 'outed' in 1996 or in 1995 or in 1994. They certainly have nothing to apprehend from me. In the premises I submit that the delay in instituting these proceedings before this Honourable Court was largely a consequence of my desire to negotiate in good faith with the Defendants for an amicable settlement as is evidenced by the documents exhibited above at pages 123, 124, and especially 137, final paragraph.